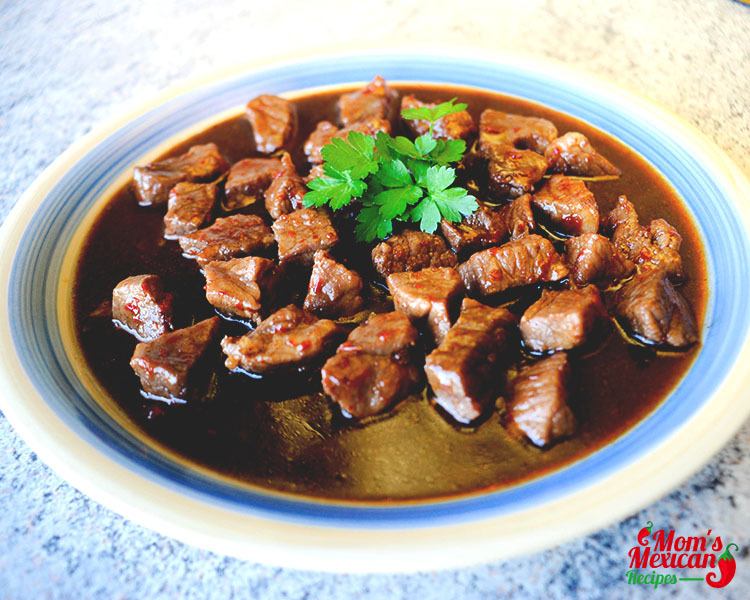 Red Chile and Pork Stew or Carne Adobada Recipe is a favorite in New Mexico. 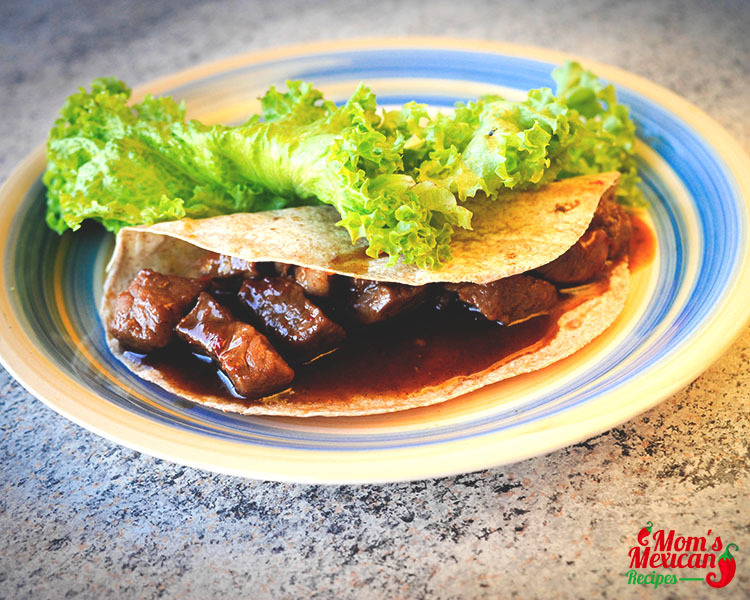 It is a well-blended pork recipe that has a very strong taste and no one can refrain from eating it. One not so secret but important ingredient in this dish is the New Mexico Chile powder. This red smoky powder gives the dish its unique taste that which everyone will surely love. 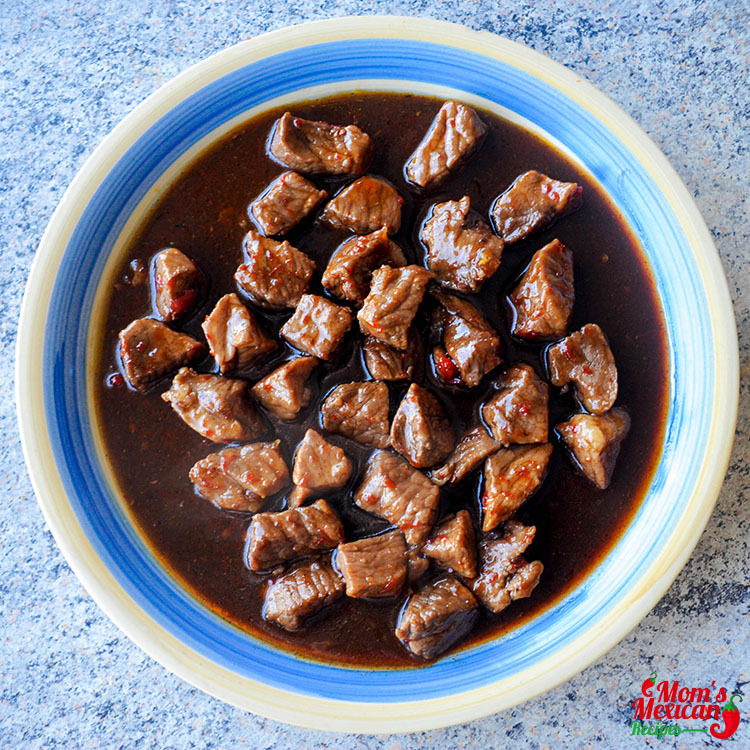 This is not for the faint-hearted because it is relatively hot but if you like spicy foods then you there is a strong possibility you’ll get addicted to this dish. In the oven over medium-high heat dry chiles, around 10-15 minutes (turning once, that both sides toasted ). Put a large bowl, cover with 4 cups boiling water, and let stay for 20 minutes. Drain chiles, reserving 1 cup soaking liquid, and transfer chiles with liquid to a blender, also put: chile powder, honey, vinegar, cumin, cloves, cayenne, and lime juice. Mix until smooth and set sauce aside. In big frying pan heat to medium-high, add oil with pork, salt, and pepper. 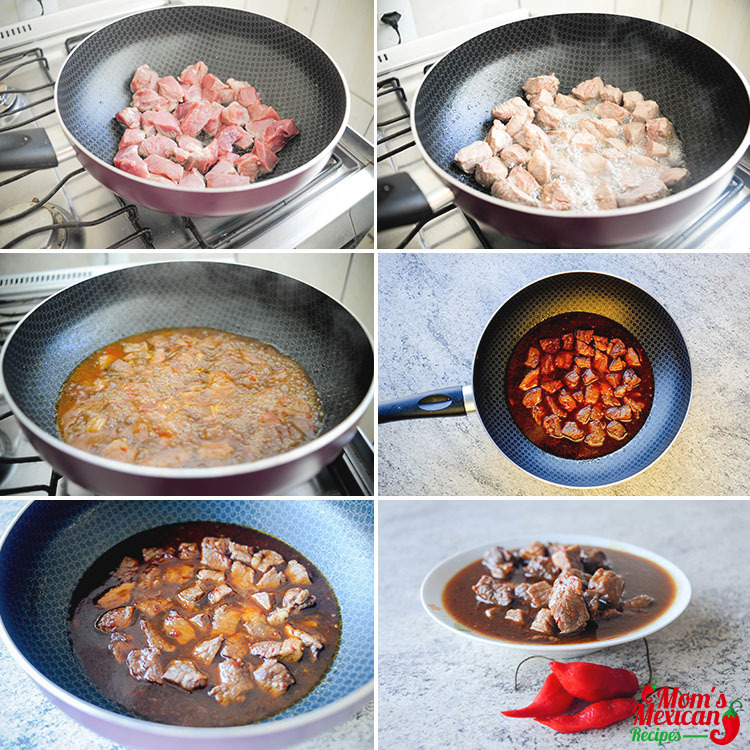 Add sauce and reduce heat to medium-low and continue cook, until liquid is thickened and pork is tender, it could take around from 50 to 90 minutes. 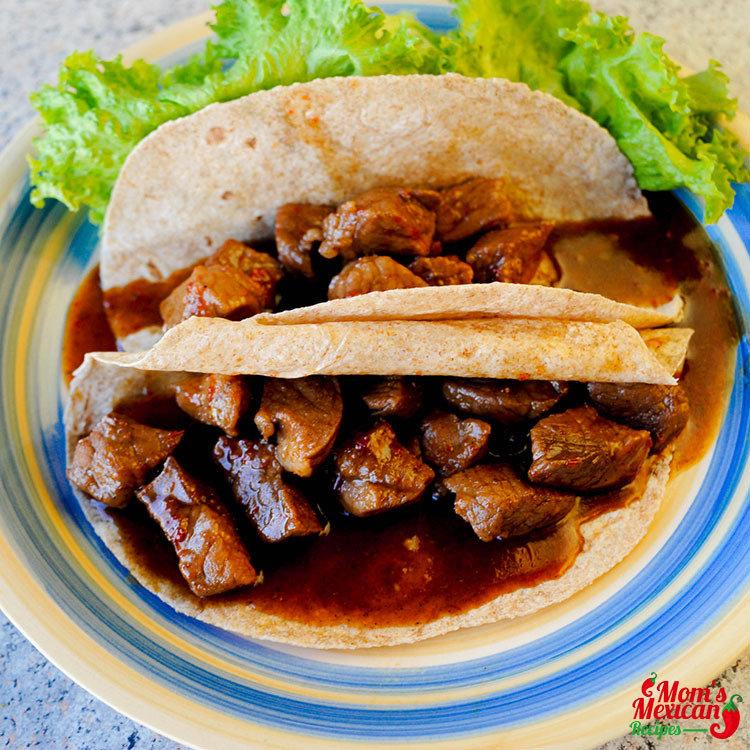 Serve with warm corn tortillas or rice. 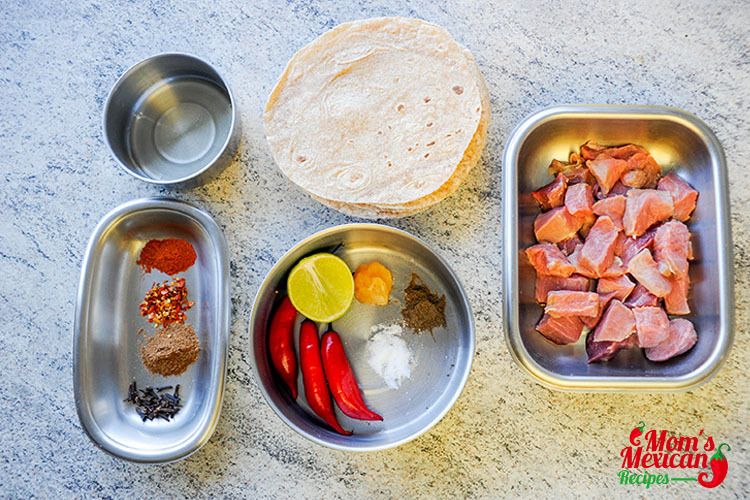 Once the Carne Adobada is piping hot, you can transfer it to a bowl and serve with warm Tortillas. You can top it with sour cream and cheddar cheese and partner it with coleslaw if you want variety. This dish is best eaten with family and friends while watching boxing or football or at dinner time after an afternoon at the shooting range. 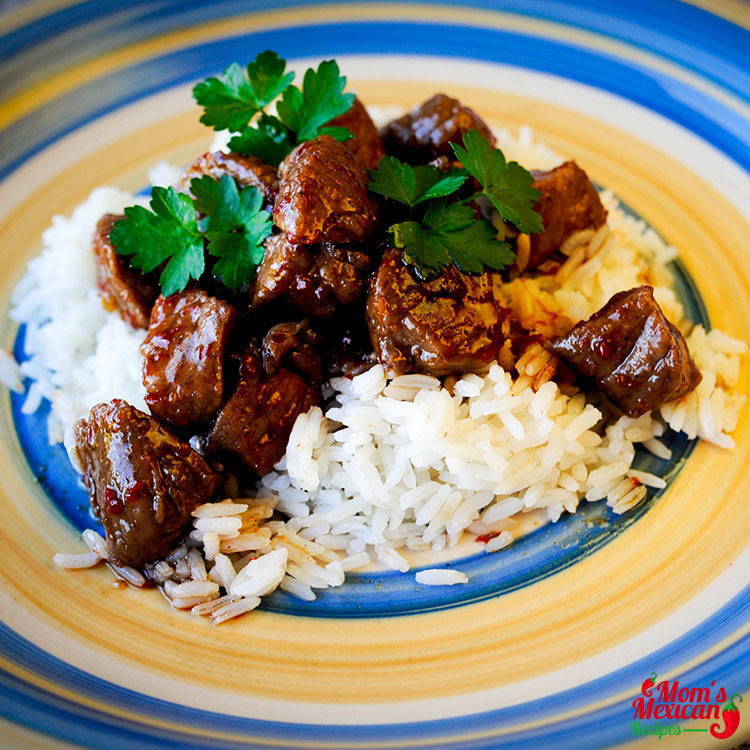 This dish gives off a masculine appeal because it is spicy and hot and the flavors are robust but women love this too so you can really serve it to anyone as they will love it. Why do you use cumin in every recipe? I’m 80 years old and have never used cumin when I cook. Also how come you don’t use Mexican oregano? Besides my questions the recipes are very close to northern Mexican cooking.